Welcome to the St. Augustine CHS Catholic School Council website. 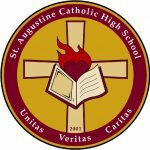 We hope this site will provide you with the information you need about the St. Augustine CHS Catholic School Council, as well as serve as an educational resource. Whether your children are currently enrolled at the school, or you are just curious about the school from a Council perspective, this site should provide you with member information, meeting dates, past minutes, upcoming meeting agendas, parent information, and helpful websites. Our objectives include helping to create and maintain an environment which is conducive to improving student achievement and to enhance communication with parents, teachers, administration and students. Our Catholic School Council meetings take place in the School Library beginning at 6:30 p.m. Our regular agenda includes a monthly report from the Principal/Vice-Principals, updates from the Student Council President, discussions regarding relevant school/Council issues, information regarding upcoming events, and reports from our various committees. All are welcome. Please join us to hear more about what happens at St. Augustine, or to become part of the decision-making process at our school. 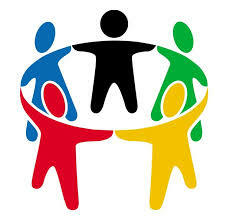 With your participation and ideas, we can make a difference. Recommended reading from Dr. Karen Ghalani on Executive Function, Self-Regulation & Resilience. These resources are available for loan from the school’s Main Office.